Nobody knows what Professor Longhair's rowdy, funky American classic song "Tipitina" was about. 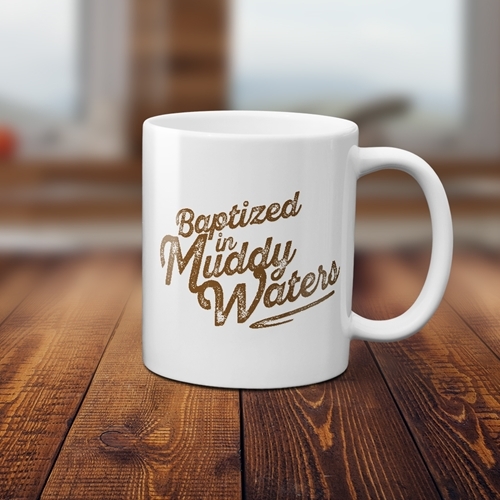 Official Baptized in Muddy Waters coffee mug. Whatever your journey is, this official Muddy Waters Coffee Mug will help get your mojo working. Every sale benefits Muddy's estate, because Bluescentric cares about the music. Baptized in Muddy Waters Design is printed on BOTH SIDES of this premium 11 ounce Bluescentric Brand ceramic music coffee mug. It is dishwasher and microwave safe.